I want to share a testimony of what God poured out here in Charlottesville, Virginia this past week at the Writing in the Glory and Women’s Abide Conference I was a part of. Saturday afternoon November 10, 2018, I was ministering on a fresh baptism of the Holy Spirit and felt led to release a little of the Azusa Street Revival story along with some slides so people could see some of the main characters, including William J. Seymour. As we went into the session, deep worship and prophetic dance preceded my time of sharing and the music continued into the session. I shared an encounter Carrie Judd Montgomery had, then Ezekiel 47 and along with an invitation to dive into more of the Spirit. Then I shared about Peter stepping out of the boat yet another time in John 21 and how it doesn’t matter how many times we’ve previously encountered God or if we’ve already been baptized in the Holy Spirit, but there’s even more today than there was yesterday. After sharing some personal stories of not being afraid to use the voice God’s given and encourage others to be the unique gift He’s called them to, we waited upon the Lord for a fresh baptism of His love. As people came forward to the altar and began to get touched, I stepped out to bless what I recognized God was doing in the room. In a mainly white crowd at this women’s conference, when I looked at the room, I saw that God was especially moving in the handful of African Americans in the room. Everyone I was drawn to pray for who I recognized the Spirit of God on in a powerful way happened to be African American. Then I took a step back and asked the Holy Spirit what was going on. Since that was the group highlighted to me, by the grace of God, I took a leap of faith and stood out on a limb doing something I’ve never done before. I called all of the African Americans to the front and the 8-9 of them came forward. I shared that I saw God was doing something special with them that day and He wanted to honor them, and also welcome their voice. I then held out my hand with the microphone for whoever of them wanted to speak. It was their floor. One of by one, some with tears, they shared their hearts while all the others in the room gathered around them up close in a circle together. It was a holy and prophetic moment that the Holy Spirit orchestrated. Because I’ve been in such crazy transition in my personal life, I didn’t have time to research the city I was going to beforehand. I actually first thought I was going to Charlotte, North Carolina and told everyone I was going to be there until the conference director told me I had the wrong state and I was going to Charlottesville, Virginia. It was not until after God poured out His Spirit in a special way upon us that afternoon that I began to hear the story of the horrific thing that had happened in this very town a year ago. This was the place where a group of white supremacists marched in, even carrying torches and chanting horrible demonic things on August 11 and 12 of 2017. The event was called “Unite the Right” in Charlottesville, Virginia. During a rally, a white supremacist drove his car through a group of non-violent counter protesters where he killed a woman and injured many others. You can learn more about what happened HERE (warning, graphic images). When I started to discover the significance of where God had sent me, I was in awe of how God moved that afternoon and my heart was broken for what all of these precious people had to endure when evil came in and targeted their city one year ago. With this new revelation, it felt to me that what had happened at the conference Saturday afternoon was even more significant that I realized at the time. 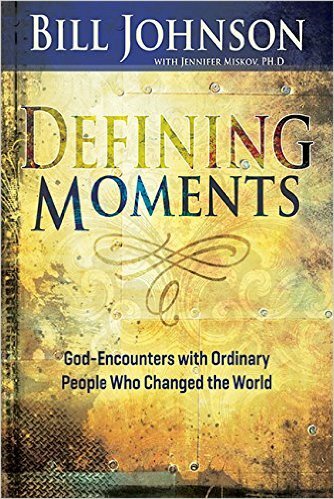 I recognized it as one of those defining moments that I will never forget where God comes and moves in a special, tender, and prophetic way. I believe that what the Holy Spirit orchestrated was a seed not only for what He wants to pour out in that city and region but for our nation as well. I believe that God has a great plan for Charlottesville because in my own experience of knowing the history of Destiny House, I know that whenever great evil is attracted to a place it’s because it’s a well of revival and there is great glory and inheritance in that place. I am confident that God is going to heal, restore and redeem what’s been stolen from this land and my prayer is that the greatest spirit of unity this world has ever seen will flow from this land of destiny. This was a slide I released about the Azusa Street Revival that same day when I was speaking. Later that evening, the night before I was to fly out, a couple of the lovely ladies from the conference came up to me and invited me to stay longer and welcomed me into their homes. Because of how God had moved that afternoon, I smelled revival. I felt the Holy Spirit doing something big in this region from all that He had been pouring out. I decided that I didn’t want to miss what He might have. I didn’t have much time to make a decision since I had already checked into my flight the next day but I was able to change my flight. Staying there meant canceling a week of activities. I struggled with doubt the first two days because I was delaying seeing people I loved in Redding and having to cancel teaching at the school of ministry which I committed to and so enjoy. Finally after much prayer with precious friends, I was able to embrace what God had placed in front of me and dove in as I counted the cost of saying yes to the tiny seed of what I thought might be the Lord. As a result of staying, we got to do another revival meeting and also open it up to the men to come along where God moved in power. I released the Azusa story in full and there was a mighty baptism of fire released where lives were marked by God’s presence. Making the decision to stay ties into the new shift in my life of helping to raise up pioneers. I find it interesting that these recent invitations to step out of the boat into unknown territory are happening at the same time that I am about ready to release my Walking on Water Encounter E-course as the first course in the online School of Pioneering Revival. See video below. Me pioneering into new territories makes sense and is important if I am going to help inspire and encourage others to step out of the boat. So this extended week was yet again, another one of those moments of stepping out of the boat and trusting the Lord. The coolest thing is that when I chose to extend my time in Maui and rest before stepping into this clear yes in Virginia, I said no to a lot of opportunities that also would have provided for me financially. This conference in Virginia I sold out of all my books and I had triple the number of Writing in the Glory attendees I normally have. God totally covered and blessed me by providing for my season of rest. Entering into this huge “yes” fully rested was one of the best decisions and I’m so grateful for all God poured out during my time intersecting with this beautiful community. Since I had extended my trip, we were able to plan a region wide revival meeting where we could also invite the men to come along. The date was set for November 16, 2018 (11/16/2018). That evening, I shared a testimony of what happened to me on this same date on November 16, 2007 not long after I had first moved to England. I went to a church with a friend and was marked by the Holy Spirit. 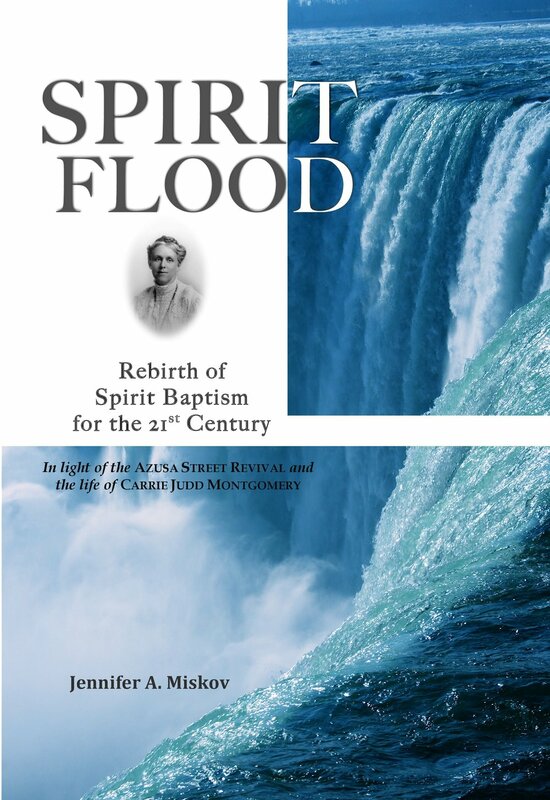 Before this time, I had become obsessed with the theme of Spirit baptism and had begun asking my friends about their experiences and was interested to learn more about it, especially as it was at the heartbeat of the Azusa Street Revival, which I was then studying in my Ph.D. there at the time. When I got home from the meeting that night 11 years ago, I was in awe of how the Spirit had marked me and as I prepared to set my alarm and turn off my phone for the night, I looked and it said 11/16 for the date at 11:16pm. I opened up the book of Acts 11:16 to see if God might be speaking. That verse was the only red letters on the page where it was recalled that Jesus said, “John baptized you with water but you will be baptized with the Holy Spirit.” I was in shock and so rocked by how specifically God spoke that night. It was amazing (to read the whole account see Spirit Flood). Because there’s so much momentum on that date in history and because I was releasing the story of the Azusa Street Revival that same night year later, I opened the meeting by sharing that testimony. As I continued to share the Azusa story, I released a prayer by eyewitness at Azusa, Frank Bartleman, about how the Heroes will arise from the dust of obscure circumstances. As I read the prayer over people, I hadn't noticed the extra significance of it until a couple came up to me at the end of the evening and asked if I had realized that the date he released that prayer which was noted on my power point was November 16, 1905. The very same date of that day except 113 years earlier! Jesus!!! How amazing is that! Unexpected and amazing how God speaks and moves even in the details. Many lives were touched this past week in Virginia including a couple who is going to plant a worshipping community in Richmond as a result of what God did, another being awakening and introduced to the power of the Holy Spirit for the first time in her life, reconciliation between family, heart healing, voices unlocked, shifting into a new season, and an awakening of burning ones who re-consecrated their lives to be sold out for Jesus. Thanks to everyone who prayed, offered grace when I didn’t return back to Redding when planned, those who invited and welcomed me to stay, rearranged their Sunday church meeting to have me speak, and Joan Hutter for hearing from the Holy Spirit to invite me and Amy Lancaster to come out to Virginia for such a time as this. So blessed. May a new fire be ignited in you today, filled with His fiery love! One persons “yes” has every potential to be another person’s breakthrough. I both experienced and witnessed this in substantial ways with Dr. Jennifer Miskov’s visit to Charlottesville, Va. Her “yes” to the Lord to come to Virginia launched a chain reaction of breakthroughs this week in so many lives and without a doubt countless more to follow. As for me personally, I was suddenly launched into a brand new life season. Ministering at Restoration Cornerstone church with Kim releasing worship on the keyboard in the back. I had been wrestling to fully get up out from underneath the clutter of busyness in ministry and the rubble of a difficult past season. In the process, some of who I am and how I was made to be had begun to dry up. I knew the Lord was positioning me for a season of writing and so I attended the “Writing in the Glory” workshop. I expected to gain a helpful resource but I did not know I would get swept up into such a move of God in the process. The authority of Jen’s message, lifestyle, and testimony literally was a prophetic wind of God to breathe life into the dry places in my destiny. As she faithfully released what she was carrying in her spirit, an impartation came. Her ministry was the hand of Jesus pulling me up out of the clutter and rubble of my past season and setting my feet in the broad place of my now, new season. Jen was the prophetic voice that re-awakened the dreamer and adventurer in me and called me out into the very season of deeper intimacy and fruitfulness that I am now walking into. Praise God! I was also given the honor to lead worship and help facilitate ministry times during Jen’s stay for later meetings (some of them unplanned but divinely orchestrated). Having been under Jen’s messaging, I was instilled with a newfound courage to step out which resulted in me giving voice to a vulnerable part of my testimony during worship that I had never shared publicly before. As a result, lives on the precipice of darkness were brought into the healing breakthrough of Jesus and hope and strength for endurance was released. I also found faith and courage to allow the Lord to re-arrange my schedule to stay with the move of God that was being released among us. Jen took the time to lovingly yet boldly challenge me to respond based on my new season not my old one. Throughout her time here we witnessed powerful moments of God as people were baptized in His Spirit, filled with fresh faith, received emotional healing, surrendered their whole hearts to Jesus, and stepped out into new things in God. We participated in the awakening rumblings of racial reconciliation and watched the Lord awaken dreams and destiny in His people. What a great and unexpected week its been! I am undone with gratitude for the goodness and kindness of the Lord in what He has done here through Jen’s “yes” to him and her love for us. Thank you Jennifer Miskov for being willing and obedient to come to Virginia. You have an inheritance with Jesus here. Testimony by Emily who was already an answer to prayer for me because she helped run my book table and all the books even sold out! May God bring you to deeper depths of His Spirit as you read her account of what God did this week. What a week. I feel like I was thrust into this new world when Joan Hutter, the director of Women’s Abide conference looked at me and said, “You’ll be a catcher.” I thought, “how did she know I’m a great catcher? Wait, what am I catching?” It was a whirlwind of praying in tongues, people passing out, loud laughter and uncontrolled sobbing. How can so many things be happening all at once? I just knew I wanted to know more about this. I mostly observed during the worship services; watching some women dance in one corner and others grab banners and twist them around like they were doing work. Women were face down on the ground while others kneeled at their chairs. This worship seemed intentional; like these women had praise and adoration to bring to the Lord and they were going to use their whole body to do it. How is there a whole community of believers coming together to worship and I feel like an outsider, like these were not my people? I’m so thankful the Lord brought Jen to guide and help me through what was going on and to graciously answer my questions. There were a lot. To be clear, I have heard of the term “baptism in the Holy Spirit” but I had no concept of what it is in real life. This moment has changed me. Not because of some physical experience - while that is something to look into and explore with the Lord - it changed me because after years of knowing that I’m saved and that I’m covered by the blood, it was like I actually knew it and believed it for the first time. I’m actually clean! For the past week now, I’ve been borderline obsessed with what it means to walk in the Spirit, to worship in the Spirit and to live in the Spirit. I want to spend time with the Lord, abiding in Him. What if He has more to say? What if He has more to make clear to me or has things that only He can help move from my head knowledge to my heart understanding? And more importantly, does everyone else know that they can be washed by His blood too and walk in the freedom He’s given us? When I first arrived in Virginia, I had the opportunity to be on Jeff Gaffney’s radio show where I share some of my personal story and encourage people with hope. Enjoy these raw moments below and thanks for being a part of my journey today! I close with the prayer that Frank Bartleman released on November 16, 1905, just months before revival broke out in Los Angeles at the Azusa Street Revival which later spread across the globe. I declare over Virginia, over California with all of the wild fires, and over our nation that God would pour out His Spirit of revival again in our day. “The current of revival is sweeping by our door. Will we cast ourselves on its mighty bosom and ride to glorious victory? A year of life at this time, with its wonderful possibilities for God, is worth a hundred years of ordinary life. “Pentecost” is knocking at our doors. The revival for our country is no longer a question. Slowly but surely the tide has been rising until in the very near future we believe for a deluge of salvation that will sweep all before it. Wales will not long stand alone in this glorious triumph for our Christ. The spirit of reviving is coming upon us, driven by the breath of God, the Holy Ghost. The clouds are gathering rapidly, big with a mighty rain, whose precipitation lingers but a little. Heroes will arise from the dust of obscure and despised circumstances, whose names will be emblazoned on Heaven’s eternal page of fame. The Spirit is brooding over our land again as at creation’s dawn, and the fiat of God goes forth. “Let there be light.” Brother, sister, if we all believed God can you realize what would happen? Many of us here are living for nothing else. A volume of believing prayer is ascending to the throne night and day. If you would like to learn more about some of the topics mentioned above, see these resources.